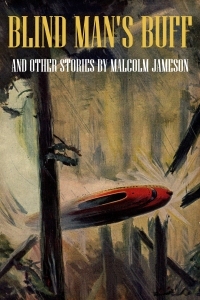 This site is a work-in-progress, dedicated to documenting the life and career of Malcolm R. Jameson, a science-fiction and fantasy writer who made significant contributions to the genre in the late 1930s and early 40s, and whose promising career was cut short by his death in 1945. It is being built (slowly) by Jameson’s great-granddaughter, Wendy McClure, and will eventually include additional biographical information, a little bit of publishing correspondence, and other artifacts. Links are welcome, but please write for permission to use photos of Jameson or cite the biography that appears on this site. Thanks for your patience. Questions? Contact Wendy. More than forty of Jameson's stories and serials are now in five collections by Thunderchild Publishing! Visit our new ebook page.